I am excited to announce and introduce a brand new indie line today: Anonymous Lacquer! Anonymous Lacquer is always 3-free, and hand-mixed with raw ingredients. The creator, Mill, sent me her first collection, called Like a Virgin, to swatch; plus an extra that she hasn't released yet. For starters, the collection consists of five polishes named after songs from the 1980's: Torun to My Blue Crush, Ruby Baby We Miss You, Purple Rain-bows, Moon Walking, and Girls Just Wanna Have Fun on Moons & Stars. First up, the three holos. 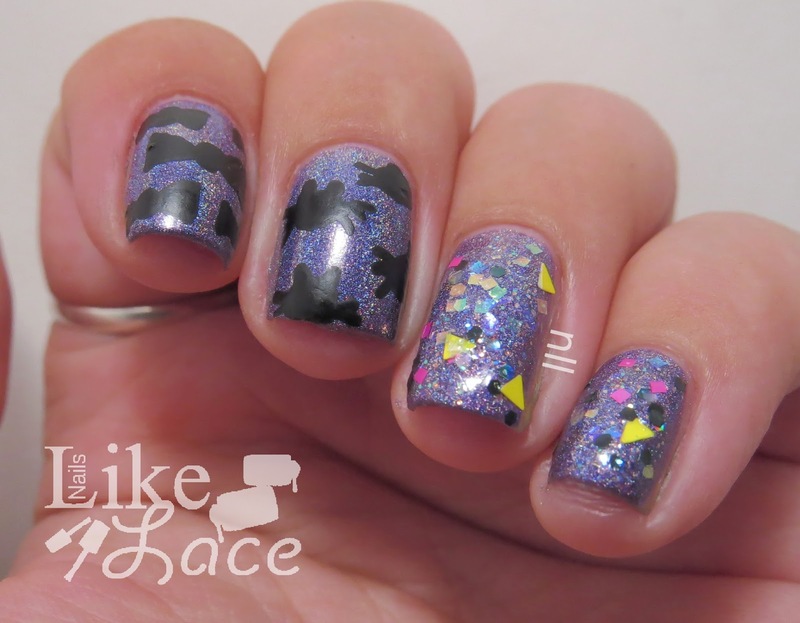 A little background: This polish was inspired by the artist Steely Dan, and in honor of a lost loved one. 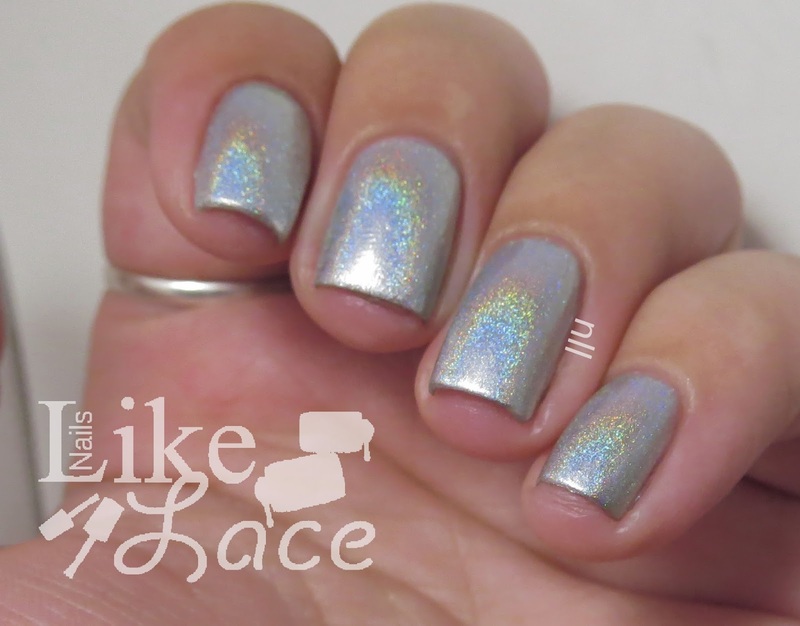 The facts: This polish has a strong linear holo, which you wouldn't expect along with such a high color pigmentation! I only needed two coats (and really, it is what I like to call a 1.5 coater: nearly opaque in one, but I did two to make sure) and it dries pretty fast! My thoughts: RBWMY is absolutely gorgeous!! I love it! The holo is beautiful, the cranberry color is amazing! Definitely one of my favorites! A little background: This name comes from Prince. The Facts: Mill recommends 2-3 thin coats for opacity with this one. Same as the previous, in my book it is a 1.5 coater. 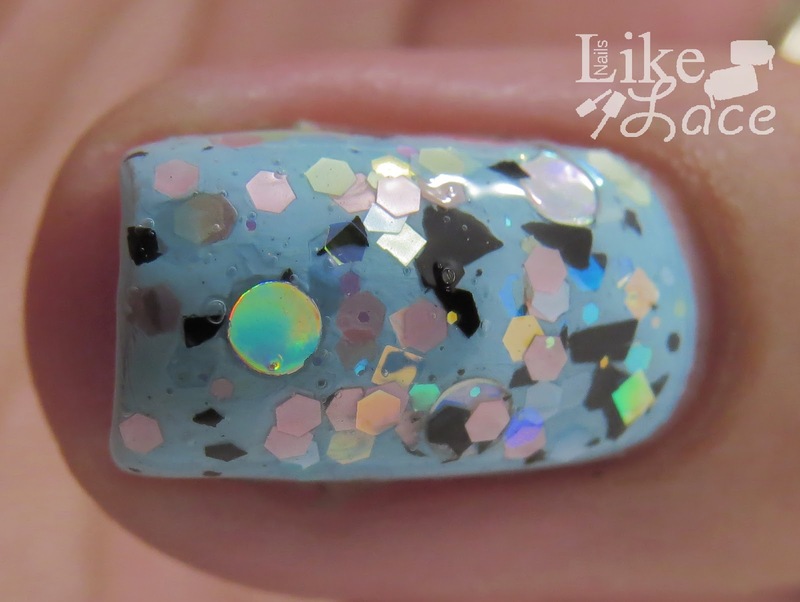 It still retains a strong linear holo and dries quicker than normal polish. My thoughts: I am in love with this delicious, grapey purple base! It photographs without throwing even a glimpse of a tantrum like purples are known for doing! 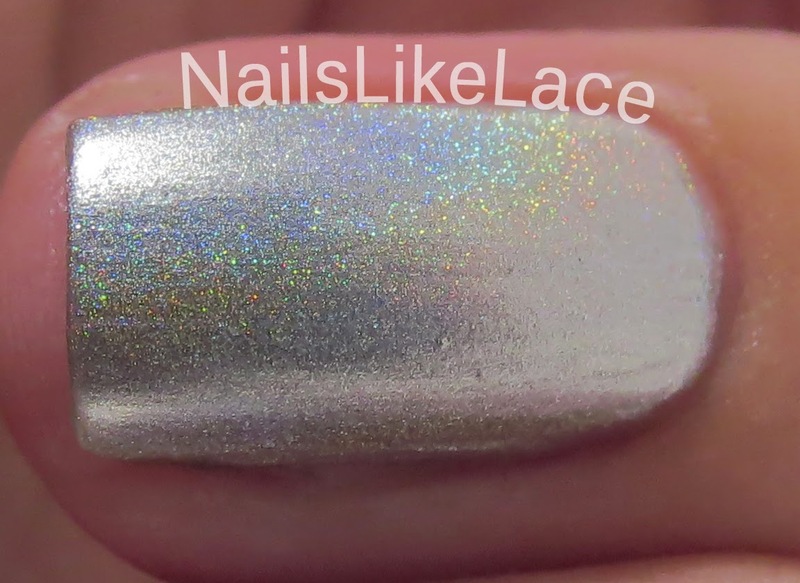 The holo was a little more difficult to capture in pictures for me, but it is very evident in person! A little background: This beauty is named for the "King of Pop" Michael Jackson. The facts: Two easy coats with a quick-drying formula. My thoughts: The linear holo is still strong in this one, again hard for me to pick up on film, but it seems to be the weakest of the three if I had to compare them. It just sparkles and shines in direct sunlight and looks amazing! Next up, the glitter topper. A little background: You know you've rocked out, singing "giiiirls just wanna have fu-uuuun!" at the top of your lungs before! What you may not have known, it is by Cyndi Lauper. The facts: This is a glitter bomb meant to be worn over another color (below I've shown it first over Sally Hansen Blue-Away, then over Kleancolor True Purple, and third over Anonymous Lacquer Moon Walking). 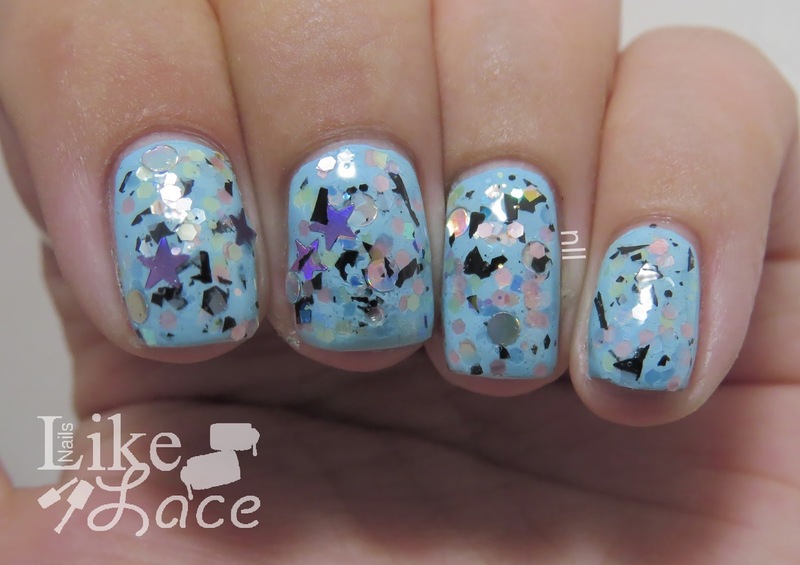 To quote Mill, it is full of matte mini pastel squares and hexes, matte black shreds, iridescent glitters, purple holo stars, and silver holo dots. My thoughts: The stars actually surprised me in this polish! It is so packed full of glitter that I couldn't clearly see them until I started painting, and I was thrilled to realize they were in there! I had to do very little dabbing to make the glitters go where I wanted them, and had to do absolutely zero fishing for the stars and moons/silver dot glitters! 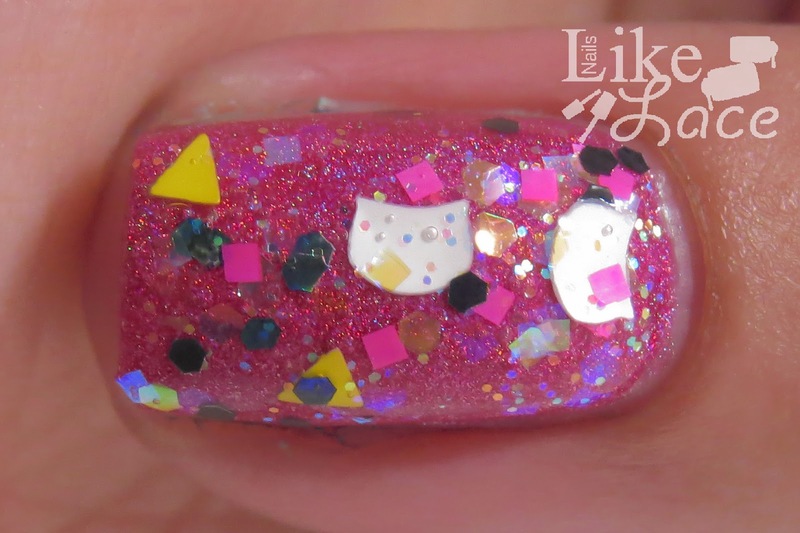 Mill suggests turning this polish upside down because some of the bigger glitters tend to sink to the bottom, but I personally didn't have any issues with that; however, I do shake my polishes before using them. 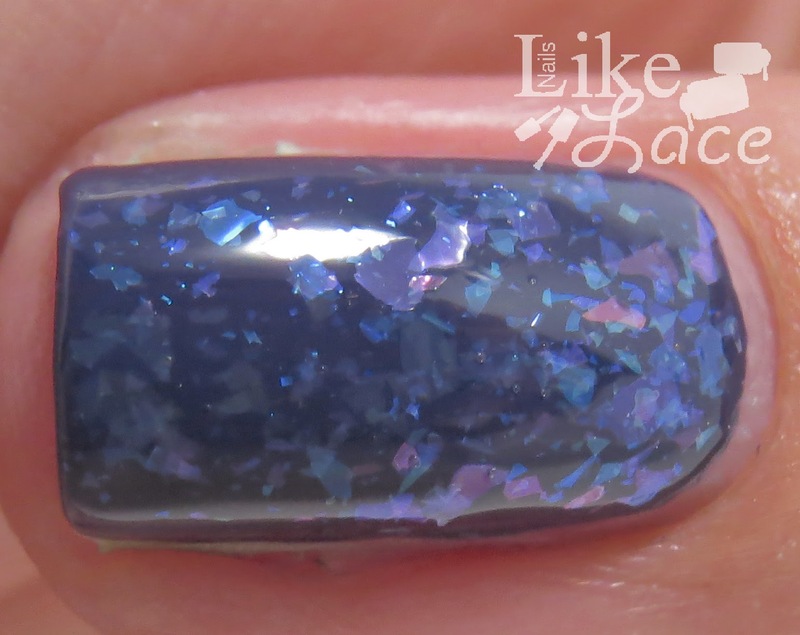 I've shown two coats over blue and purple, then one coat over silver holo, each with one coat of Seche Vite. 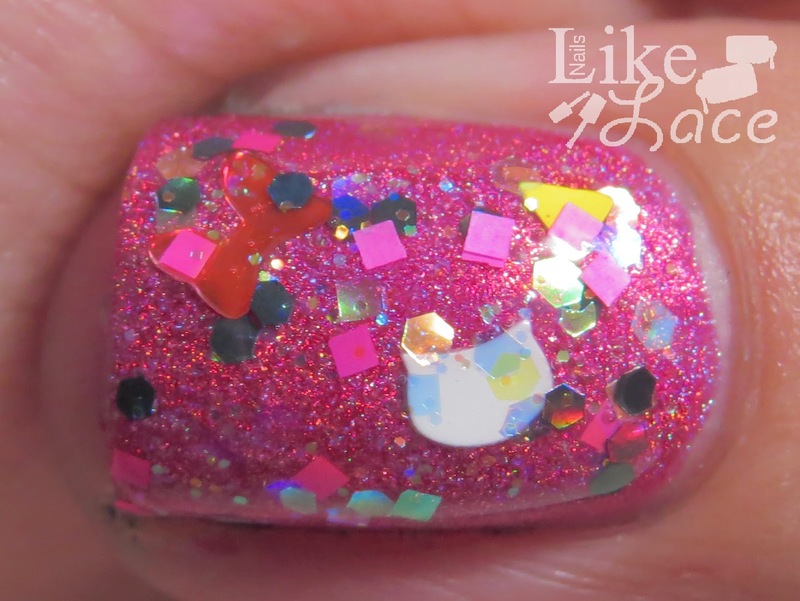 A little background: Not only is this polish inspired by the Brian Adams song "To Run to You", it is also inspired by a flakie lover friend of Mill's whose name is Torun. The facts: This polish looks best over darker colors (I used Zoya Sailor for my swatch), and looks great no matter how many coats you do (I did two)! 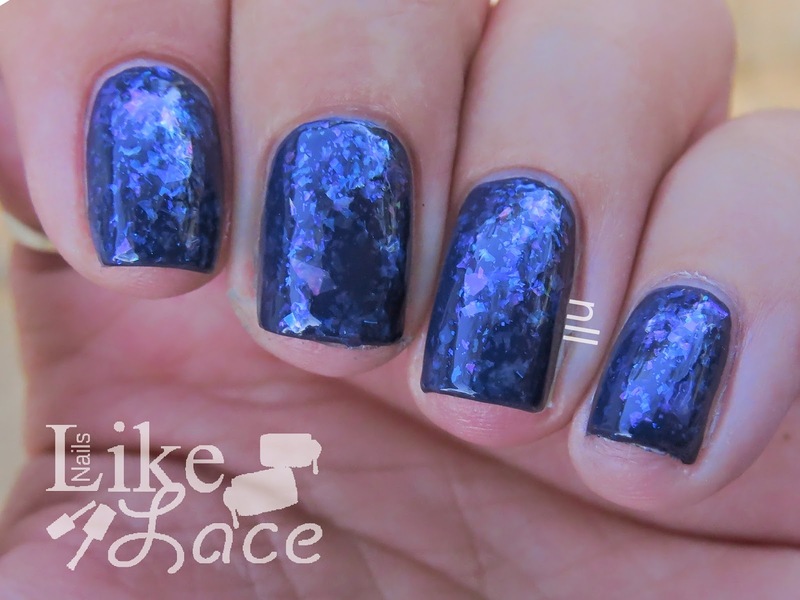 It is a slightly blue tinted base full of blue and purple flakies in all different sizes. It dries fairly quick and is pretty dense with bits. My thoughts: I absolutely loved this over dark blue! It almost looks like a crushed gem or something close up, I think! All the cool colors that shine off are just gorgeous! Last but not least, the bonus polish! Mill is currently running a "name this polish" giveaway (see the Anonymous Lacquer Instagram here) for this polish. 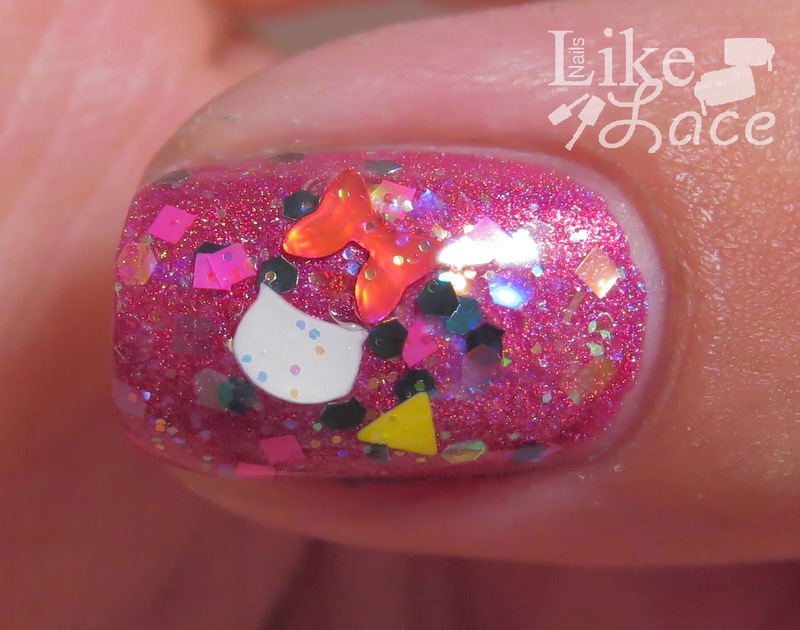 The polish is inspired by Hello Kitty, and she is looking for creative names. So if you have any ideas, be sure to check out her giveaway for all the info and a shot to win your own bottle of this glitter topper! It is full of white cat head glitters, pink bow glitters, iridescent bits of different shapes and sizes, pink squares, black hexes, and my favorite part, yellow triangles! 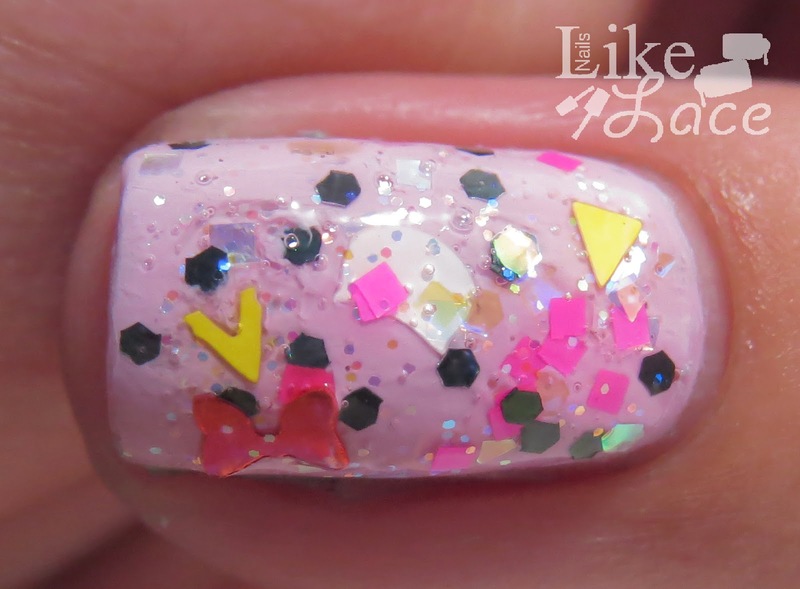 Below I have shown two coats of this topper over China Glaze Sweet Hook, then Anonymous Lacquer Ruby Baby We Miss You, and finally over Anonymous Lacquer Purple Rain-bows along with some hand-painted bow and cat head silhouettes. The suspension of this polish was really good. The glitters held up pretty well. I did have to do some fishing for the bigger ones, but that is to be expected with big glitters. It needed two thick coats of Seche Vite to smooth everything out. 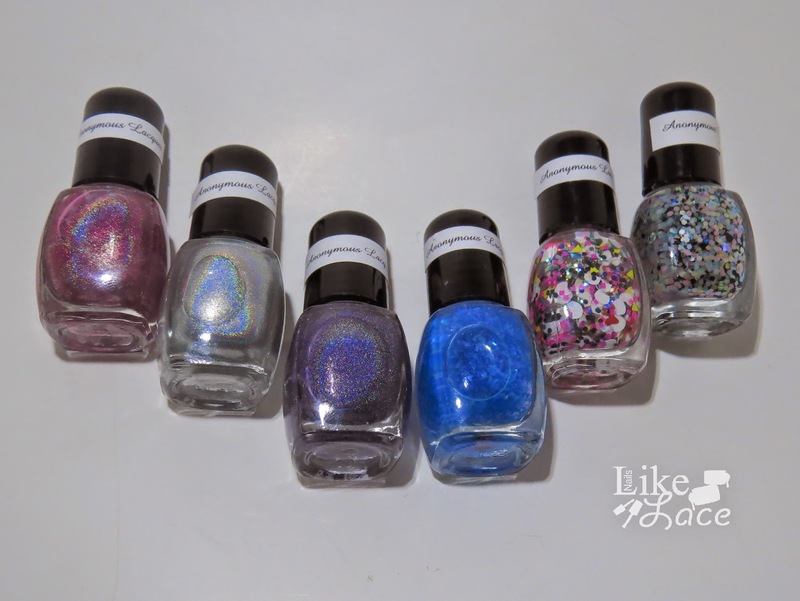 If you're interested in picking up anything from Anonymous Lacquer, her full-size 15ml bottles are $10-12 USD, or $50 for the whole set; and minis are .5ml for $5-6, or $25 for the whole set. Make sure you check Mill out at her Storenvy, her Instagram, or the Anonymous Lacquer IG and tell her I sent you!